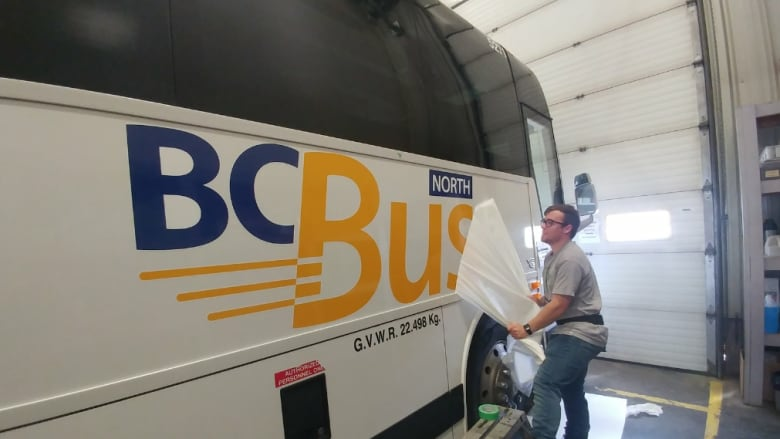 The provincial government will operate a bus service for northern B.C. on a one-year pilot program, replacing most of the routes previously served by Greyhound Canada. "This is an interim solution to cover the loss of Greyhound while we work with communities," said Transportation Minister Claire Trevena, who said B.C. Transit would be spending $2 million to operate the service starting June 4. "What we're announcing today has a one-year defined timeline, and during that year we're going to be working toward a long-term solution." Prince George to Prince Rupert. Prince George to Fort St. John. Dawson Creek to Fort Nelson (once a week only). Routes will stop at smaller cities along the way, and trips will cost either $35 or $45, depending on the length of trip. The only Greyhound route not replaced by B.C. 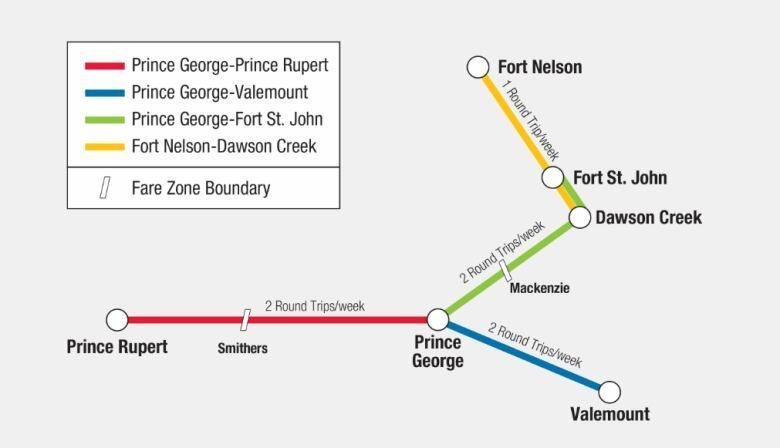 transit will be from Fort Nelson to Yukon. A detailed schedule can be found here. B.C. Transit didn't have any estimates of how much money it would recoup in fares during the first year, and Trevena couldn't say what it would take for government to continue the service after a year — though Erinn Pinkerton, interim president and CEO of B.C. Transit, said changes to fares and routes could be made once data is available about ridership and costs. Dawson Creek Mayor Dale Bumstead said he was hopeful that a long-term private solution could be figured out during that time. "We need to find a way to build that private-sector model that's going to fill the long-term model for these rural and remote communities," he said. "I honestly don't think a subsidized service for B.C. Transit will in the long-term fill that need ... but I'm still really appreciative of the province stepping up and filling this gap." B.C. Liberal MLA John Rustad, who represents the Nechako Lakes region, questioned whether local governments and First Nations communities had been consulted ahead of the announcement. But he praised the fact that the new buses would operate in the daytime, a marked departure from Greyhound's typical overnight routes. "The big problem with Greyhound was the times it was going. Those overnight routes are really tough for people to take, they're not very convenient, they don't fit in well. So I'm happy to see that is part of the solution here," he said. It was a sentiment echoed by Trevena, who emphasized the new service was "for people, not for packages." "People will no longer have to wait at the side of the road in the middle of the night for their bus. B.C. Bus North's schedules will work for people so they can travel safely from one town to the next," she said. Province has no plan to replace Greyhound in Northern B.C.